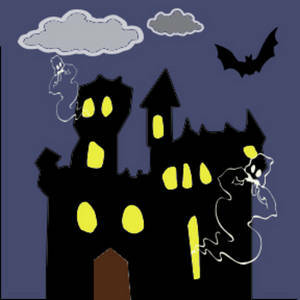 Description: Free clipart picture of a haunted castle with lights in the windows. This illustration shows a dark castle with brightly lit windows. The windows make it look like there are faces. Also a couple of ghosts are coming out of the windows and a bat is flying overhead.